I am very proud to have this opportunity to represent Bradley Park Golf Club as your Captain and to welcome all our members to the 2019 Golfing Year and wish you all success. It is a privilege to have been offered this position and I am looking forward to working closely with the dedicated Officers and Committee Members of the Club who work tirelessly for the good and benefit of our great golf club and its members. I would like to thank Madam President Sandra Shillito, Captains of all our sections for their effort and their great year in office. Graham Hollingdrake, immediate Past Captain, Cliff Froggett, Rabbits Captain, Annette Bird, Lady Captain and Gabriella Child, Junior Captain. Thanks also go to the captains of Bradley Park’s representative teams. One person who does deserve particular thanks and not just for last year is our Competition Secretary Michael Waddington who has this year decided to stand down from his role. I am sure you all agree Michael has done an excellent job in a very demanding role. Whoever takes over from Michael has very big boots to fill but I am sure they will have learnt from all his hard work over the years. I can only echo the comments of last years Captain, in sincerely thanking the Housing Sub-Committee for their passion and commitment in fighting the ridiculous plan to lay waste to one of Yorkshire’s finest golf courses. In particular the efforts of Keith Waddington, Bob Balcam and Nick Howe who have been inspirational. I can assure you that whatever the outcome nobody could have put more effort and time into fighting our cause. I am sure you would all like to join me in thanking Tom Wild and all his staff especially all the Green Staff who again have created and maintained a golf course we can all be proud of. Thanks also to Tina and her staff for looking after us throughout the year. Most of all I would like to thank the members of Bradley Park Golf Club for a memorable year both on and off the golf course and sincerely hope we continue the support and enjoy making more good sporting memories in my year as Captain. With the thanks now completed I would like to pass on my best wishes and congratulations to the incoming Captains, Ben Page, Sheila Harrison and Michael Edwards who will hopefully enjoy a great year along with myself. Congratulations also to their Vice Captains, John Fromings, Alan Riley and Pam Flaherty. Finally, good luck to the Captains of the Scratch, Handicap, Rabbits, Ladies, Senior and Junior Teams and all the golfers selected to represent these teams. It is a great way to play different golf courses throughout the Union and to socialise with members from these Golf Clubs. The opportunity is open to all so please get your names down on the relevant selection sheets. 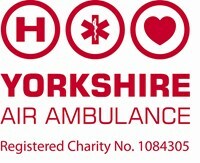 My charity for the year will be Yorkshire Air Ambulance which is an independent Air Ambulance Charity providing life-saving rapid response emergency service to 5 million people across Yorkshire. They need to raise £12,000 per day to keep both of Yorkshire’s air ambulances flying so I am hoping to raise vital funds to support this worthy cause. I know I can count on your support throughout the year. Finally, I look forward to playing golf with friends both old and new at which I sincerely believe is one of the best Golf Courses in Yorkshire both on and most definitely off the course. May I welcome you all to the 2019/20 season at Bradley Park. Hopefully we will experience another fantastic gofing year with outstanding weather and course conditions. I have been a member of the Club for over 20 years since moving to the local area and was both delighted and honoured to be asked to be your Rabbits Captain for the forthcoming year. I would like to say a particular thank you to our outgoing Rabbits Captain, Cliff Froggett, for all his hard work promoting the club at senior and junior level and to all the current committee members for their continued help in organising gofing and social activities throughout the year. We have a very enthusiastic Rabbits section and I hope you can all play in as many club competitions as possible and also sign up for our increasingly popular friendly and league matches. Our committee has grown in size over the last couple of years and has a great combination of experience and new blood. Please contact us if you would like to become more actively involved. During the season we will organise several golfing/social events which we would love you to support on and off the course. I am delighted to announce that Alan Riley will be our 2020 Rabbits Captain and would like to take this opportunity to wish all the incoming Captains a very enjoyable and rewarding season. Finally, I sincerely hope you all have a successful and healthy 2019. Hello everyone. Firstly, I must certainly congratulate and say thank you to our outgoing Captains, Annette, Graham, Cliff and Gabriella for all their hard work during 2018. It was also brilliant of them to organize such beautiful weather for us to play golf in too, wasn’t it! That aspect is going to be another particularly hard act to follow, I’m afraid. I’m honoured to have been asked to be your Lady Captain as like many others in the Ladies section I’ve taken on the role before, in both 1999 and 2007. Pam Flaherty is our Lady Vice Captain and Pam has also been Lady Captain previously. I hope this shows how important being a member of Bradley Park Golf Club is to us. Best wishes too to Mick our Captain, Ben our Rabbits Captain and Michael, our Junior Captain for the coming year. Thank you again to the Housing/Save Bradley Park Committee for all their hard work. There are perhaps some uncertain times ahead for us all, but that makes it even more important to enjoy the here and now and the excellent competition calendar and social events organized for us by your Committees. There are also the Rules of Golf changes and we must all be aware that we have individual responsibility to ensure we familiarize ourselves with them, or are able to refer to them during play if necessary. A Players Edition of the R & A rule book is freely available and there is also an excellent R & A mobile App (2019 Version). Both are in an easy to use format. My charity this year is Parkinson’s UK. Parkinson’s Disease is an incurable and cruel condition, which I lost my brother to, so the research they do and support they give tosufferers and their families is vitally important.